Today Cart2Cart Team decided to take up a lesson from a successful online entrepreneur, Eric Bandholz. He has made his own brand and the profit of 150k/month in less than a year. 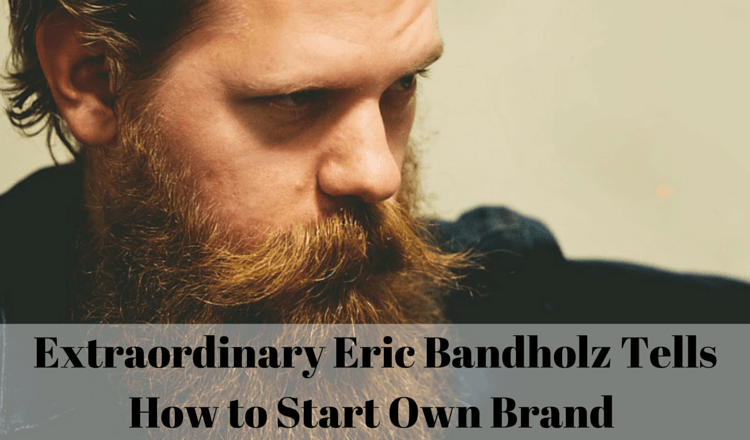 Let’s check the secrets of BeardBrand success and useful pieces of advice for those who start the business. Here we go! Eric, you have worked as financial advisor at Merrill Lynch, one of the leading US banks. 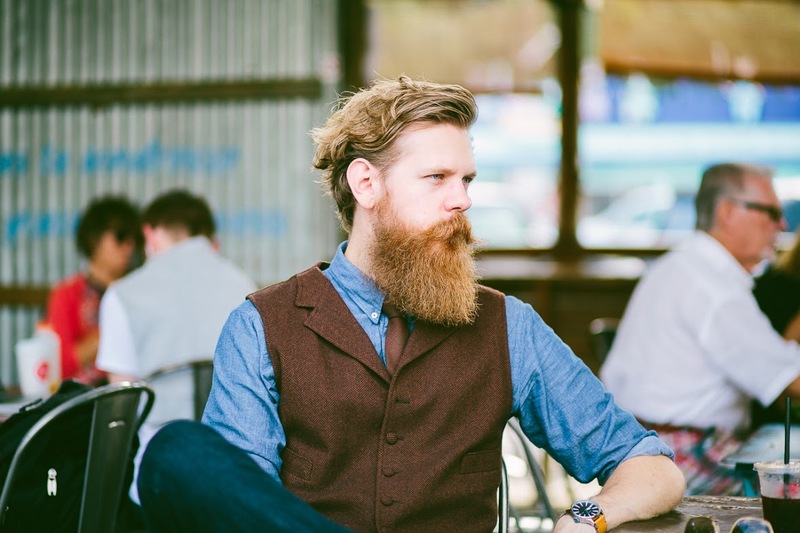 What circumstances have made you quit the job and which facts have inspired you to start BeardBrand? Tell us your exciting story. I love investing, the families I helped, and the people at Merrill Lynch, but when working in a highly regulated industry, there is only so much creativity you can bring to the table. I felt like a caged bird and needed to get out and spread my wings. I don’t do too well in highly structured environments and entrepreneurship is the right path for me. Do you find it a challenge to manage the online store in the context of modern e-Commerce market rivalry? Were there any obstacles on your path to the recognition and creation of not just a business, but the whole brand? You know, we aren’t an online store, but a company that sells online. We want our products to be available everywhere, so it makes sense to be online. When selling online, you have most control with your own property and it’s important for our customers to have a positive experience. While we have immense drive and passion for what we are doing, we have very humble expectations and demands. We would be just as happy with a small and slow grow as a rapidly growing business. Our brand is the lifeblood of what we do and it would be so much more difficult to tell our store on Amazon, Ebay, or the other ecommerce platforms. We aren’t just selling a product, but we are trying to change the way society views beardsmen. We want to show the world that just because you have a beard, doesn’t mean you can’t be successful, family oriented and involved in the community. Everyday presents a new challenge and our biggest hurdle has been keeping up with the demand. I hate being sold out of items, but it’s something that has happened to us and continues to happen to us. You think you can predict what sales would be, but it’s very challenging. I suppose of the issues we have, this is one to have. Can you share some super secret tips that will encourage start-ups and motivate store owners to smash the success? There is no magic bullet with business. It’s a lot of hard work, determination, and knowing when to say “yes" and when to say “no.” There will be a lot of dark days, and it’s important to surround yourself with positive people to help you through those challenging days. Don’t judge yourself to people who are ahead of you, next to you, or behind you. Focus on your own individual path and let the haters hate. What are the most surprising things you have learned while being an online entrepreneur? There are so many pieces to a successful business and things to consider. From a branding standpoint, what does your website look like, what does your photography look like, what does your copyright look like, etc? All those are vital to connecting with your intended audience. If you don’t have those skills in house, then it’s important to outsource that to people who have those skills. Every month that is a best month ever is a huge surprise. We never imagined the success we have and puts a giant smile on our face. That being said, we are never content with where we are at and want to constantly improve. As we can see, your e-store is powered by Shopify platform. Which pros and cons you can point out regarding the management of this shopping cart? Shopify has been an awesome boost for our business. It’s allowed to focus on the other details of the business while our ecommerce store just works. There are many tools that integrate directly with the website and can get up and running very quickly. The downside is that this pieces don’t always play nicely together and a custom solution seems like it would be more efficient, but there is a lot of expense and time involved in that. I wouldn’t change starting off on Shopify for anything. You have a great team that helps to open your vision of “beard style” for the whole world. What do you value in the people you work with? The three core values at Beardbrand are hunger, freedom, and trust. To speed up the growth of our business we need to trust our partners and team members to execute on their task. They have the freedom to do it on their terms. Ultimately, they must be hungry to improve their lives, to be passionate for their work and want to make Beardbrand better everyday. Would you shave your beard, if someone suggests you million dollars? The great thing about facial hair is they grow back. Assuming I could grow my beard back, I would definitely shave my beard for a million bucks. If I couldn’t grow my beard back then I probably wouldn’t shave the beard. It’s an important part of our business and my beard is the first beard that tests all our products. I can’t sell our products or develop new ones without having a beard, and we are no longer a small fish out there, so a million bucks is less than it was two years ago. What are your future plans regarding your brand and beard in particular? 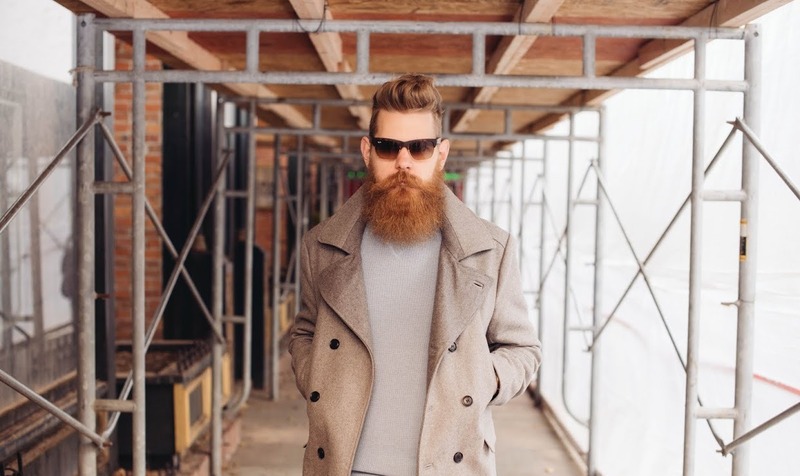 Our vision is to be the go to company for beard care in the future. That means expanding our product line and expanding our retail presence. We’ve got the best products in the market and have done some impressive things. I want our products to be next to anywhere you see shaving products. I will continue to keep my beard about this length or shorter. I prefer a slightly unkempt longer beard that is on the edge of what’s acceptable and what’s not acceptable. It’s a fun dichotomy when it comes to dressing up nicely. I know you heard thousand times lots of compliments for your extraordinary style. But still... You have a cool red beard, Eric! Hah, thank you so much! Everyday it grows on me! Running this company has opened up my eyes a lot to the various styles out there and I’ve really fallen for the heritage look lately. Wearing some good raw denim, heritage boots, and waxed canvas jackets is a cool look in my book. 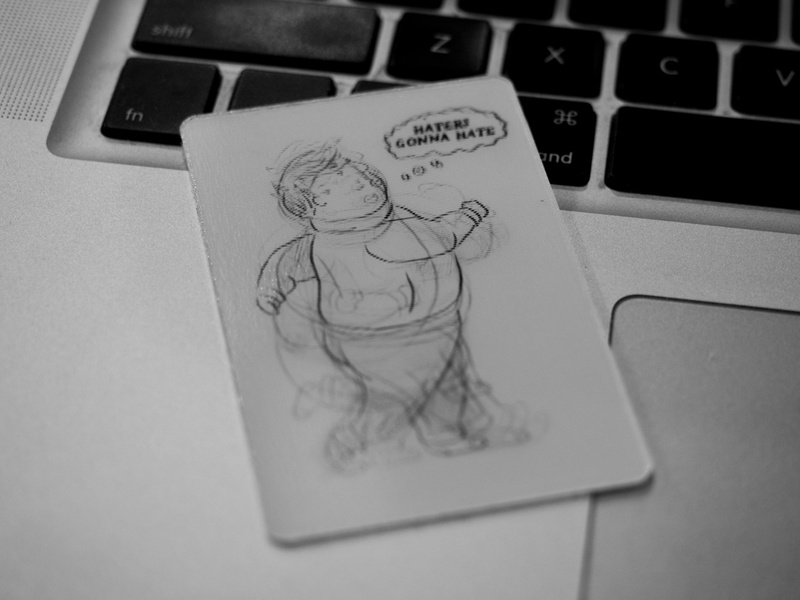 Eric: I keep this little man in my wallet that says, “Haters gonna hate.” I can’t think of a bigger influence for how I want to run my life and business. Cart2Cart team is deeply grateful to Eric Bandholz for such an interesting talk. Best regards to him and to all our followers. Keep reading our blog, as much more of curious e-Commerce articles and interviews are still to come.